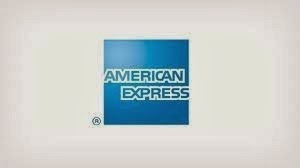 If you are not satisfied with the response received from customer care and have any queries upon any disputes/discrepancies found on the monthly statement of the Card you can submit a complaint in writing to American Express within 60 days of the statement date. And American Express Banking Corp. should take reasonable steps to resolve/assist the Card member by providing information in relation to Charges, Charges to your Card Account. Sometimes they charge for administrative fee for statement reprints or Record of Charge forms which should have been waived by them. The American Express Bank will take measures not to report transactions disputed by the Card member if the dispute is in writing and within the timelines. The Bank will withdraw such transactions if already reported. If you are not satisfied with the response or if you have not received a response from American Express Banking Corp within a month, you can approach the Banking Ombudsman for redressal. Please visit Reserve Bank of India website for more details.